The Coconut Palm Tree is one of the most popular palm in the world because of its coconut fruits. It has countless uses. In our beloved country Malaysia, the Coconut Palm are usually found along the coastal region of West Malaysia. 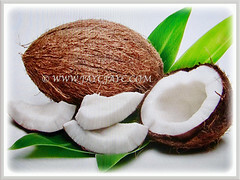 We truly enjoy the flesh and the refreshing drink found inside the coconut, to quench our thirst, especially on hot days. Botanical Name: Cocos nucifera (syn. 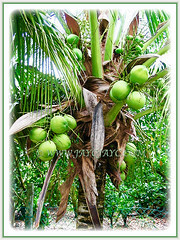 : Cocos nana, Cocos indica, Acanthophoenix cocos). 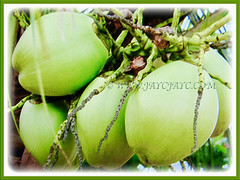 Common Names: Coconut Palm, Coconut Palm Tree, Malayan Coconut Palm, Green Malayan Palm, Kelapa in Malay. Etymology: The genus Cocos is derived from the Portuguese word for monkey, referring to the facial markings on one end of the nut. The species epithet nucifera means bearing nuts for its ability to produce coconuts. Origin: Native to the Malay Archipelago or the South Pacific. It is also cultivated worldwide. 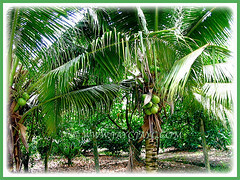 Features: Cocos nucifera is the only species in the genus Cocos. A relatively fast growing solitary palm that can grow up to 30 m tall and 6 m wide. The trunk is slender, grey and prominently ringed with old leaf scars. Trunk is a little swollen at the base and may be slightly curved. The large and pinnate fronds are up to 5 m long, yellowish-green to dark green, ascending to spreading to drooping, bearing 80-100 pairs of leaflets that taper to a split tip, with prominently elevated midrib. The leaflets are simple, lanceolate, 1.5-5 cm wide and 50-150 cm long. The palm is monoecious and produces both the female and male flowers on the same inflorescence. The female flower is much larger than the male flower. 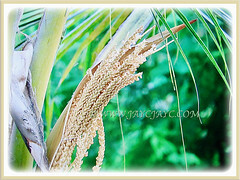 Coconut palms are believed to be largely cross-pollinated although some dwarf varieties are self-pollinating.The inflorescence is 1.2-1.6 m long, cream to yellow, arising from within the lower fronds, consisting of 5 female flowers with each set between 2 smaller male flowers and enclosed by two bracts, 60-90 cm long. The inner bract is woody and pointed. The male flowers will open about 10 to 20 days to encourage cross-pollination before the female flowers open. Flowers are followed by the coconut fruits. The fruits are ovoid, up to 30 cm long, ripening from light green or yellow to brown, consisting of a smooth outer skin (exocarp), a fibrous husk (mesocarp) and a hardy woody shell (endocarp). The seed has a narrow, white layer of edible endosperm or flesh and a large cavity filled with water. Given proper care and growing conditions, coconut palms produce their first fruit in six to ten years, taking 15-20 years to reach peak production. The coconut fruit is a drupe. It has 3 layers, i.e the exocarp, mesocarp and endocarp. The exocarp and mesocarp make up the husk of the coconuts. The shell has three germination pores or eyes that are clearly visible on its outside surface once the husk is removed. Culture (Care): Cocos nucifera or Malayan Coconut Palm Tree can be easily grown with least maintenance. Moisture: Moderate to high water requirements. Soil must be consistently moist. It is also drought tolerant once established. It benefits from a humid environment. Soil: Best in moist loamy and well-drained soils. However, it’s able to adapt to a wide range of soil types. Nearly frost free areas only. Coconut palms can tolerate frost and freezing of only briefest duration and even then leaves will discolour and the plant is left susceptible to fungus diseases. Coconut Palm likes warm climate and cannot tolerate temperature below -6.66°C without getting injured. During spring, when Cocos nucifera or Malayan Coconut Palm Tree is about 4-6 years of age, it starts producing sweet-scented yellow flowers that are held by slightly branched stalks. These will be followed by the coconut fruits. Propagation: Easily propagated by seeds. Seedlings could be developed from old nuts if left on the ground. Seeds germinate within 2-4 months. When the coconut seed germinates, it breaks through one of the three germinating holes that you can see on one side of the fruit. Usage: Cocos nucifera or Malayan Coconut Tree makes a beautiful accent on the lawn and provides lovely filtered shade for the patio. Ideal as a roadside palm or at the beachfront. It is grown throughout the tropics for its many culinary and non-culinary uses. Nearly every part of the coconut palm can be used. The seed provides oil for frying, cooking and making margarine. 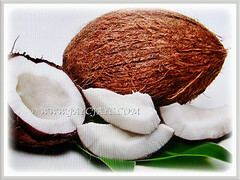 Coconut juice are wonderful for thirst quenching and its flesh can also be consumed. The white, fleshy part of the seed is used fresh or dried in cooking, especially in confections and desserts. Desiccated coconut or coconut milk is often added to curries and other savory dishes. 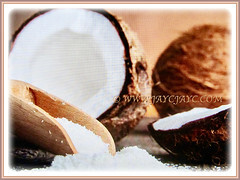 Coconut flour has also been developed for use in baking. 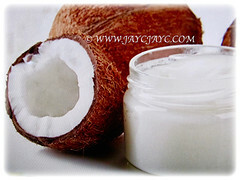 Coconut milk can be used to produce virgin coconut oil. The thick outer husk of the coconut is a source of fibre which can be used in ropes, door mats, brushes, sacks and as stuffing fiber for mattresses. 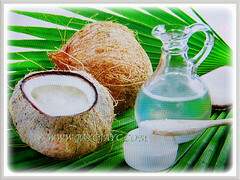 Coconut oil is used in soaps, cosmetics, hair-oil and massage oil. Coconut shells are used as bowls and in the manufacture of various handicrafts, including buttons and ladles or even be used as fuel. 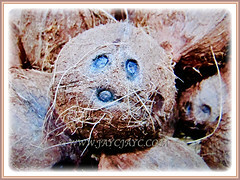 Coconut trunks are used for building small bridges and huts. It can also be used for manufacturing soap, lubricants and margarine. The sap tapped from the inflorescence can be used to make toddy. Stem is used as timber for construction of houses. The leaves are also utilized for roofing thatch and for weaving of baskets. It is used in potting compost especially in orchid mix.